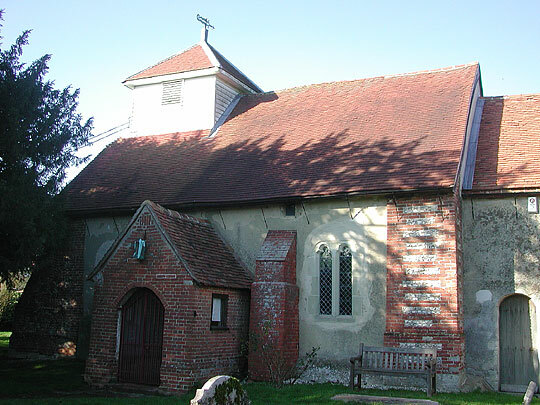 Nave and chancel and bell-turret. Brick S porch of 1694. 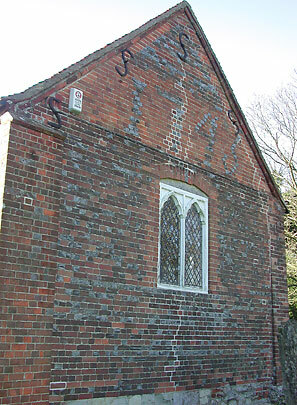 The chancel is of the C13 (see the lancet windows), but the brick E wall is dated 1745. 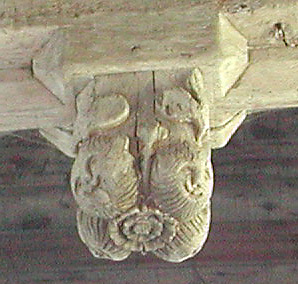 In fact, the windows in the north wall of the chancel appear to be round-headed Norman, not the later pointed lancets. 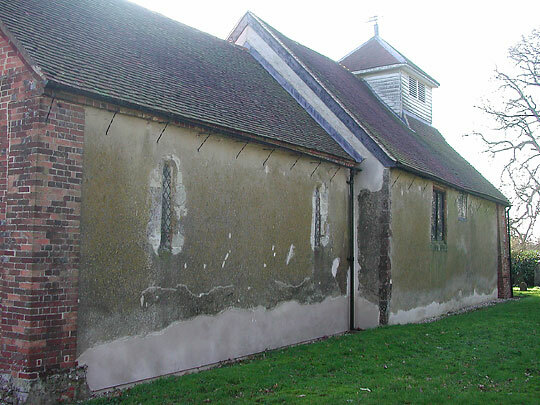 See chancel north wall above (exterior) and below (interior). Nicely unrestored interior. 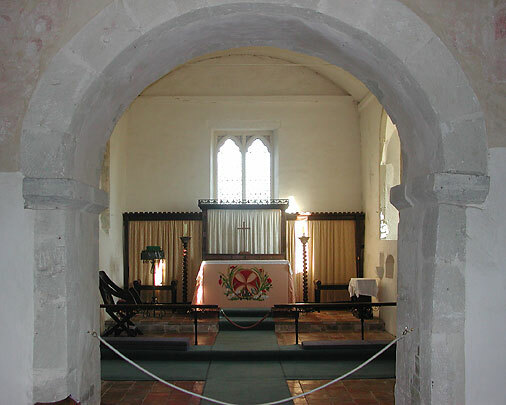 Plain Norman chancel arch. 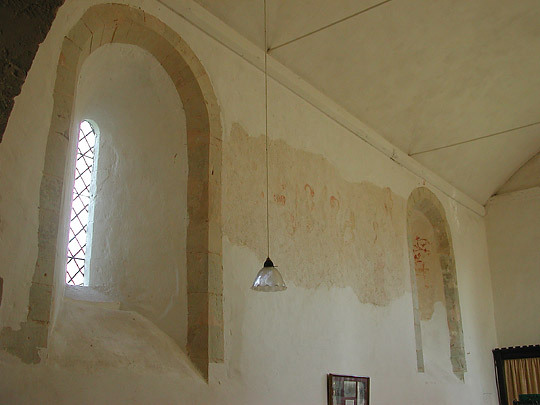 To its l. and r. wall paintings of the late C12, almost entirely unrecognizable. But they are said to have represented in large medallions l. of the arch the Harrowing of Hell, r. of the arch the Resurrection (?) and the Pentecost. 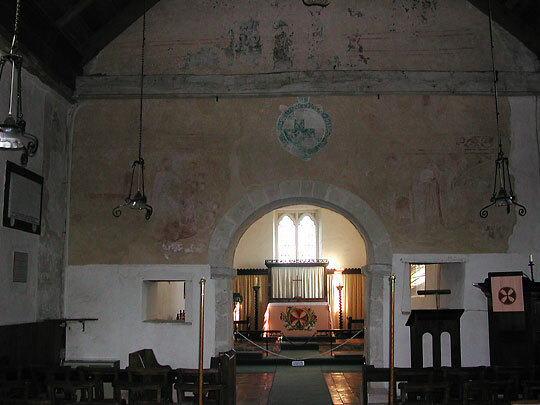 The paintings above the chancel arch surrounding a former rood are C15. 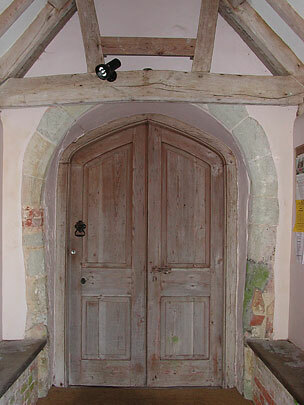 Squints on either side of the arch giving views to the chancel. 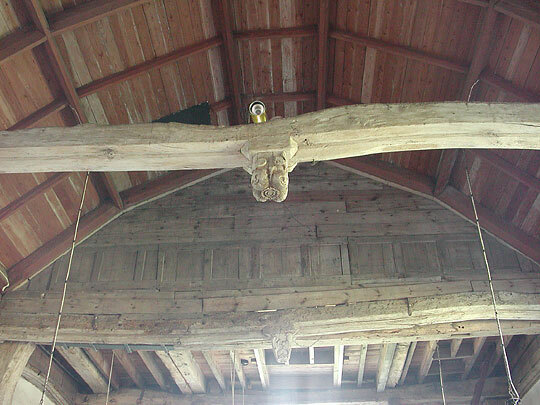 Two tie-beams in the roof carry bosses carved with leaves and monster heads. 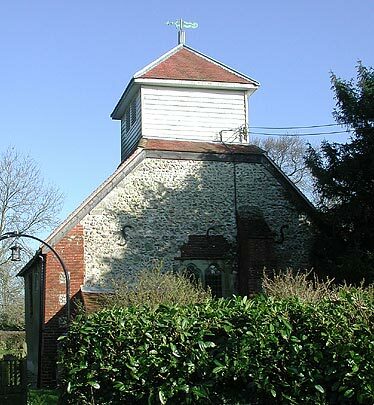 The composer Gerald Finzi (1901-1956) lived in the village and is buried beside the porch. 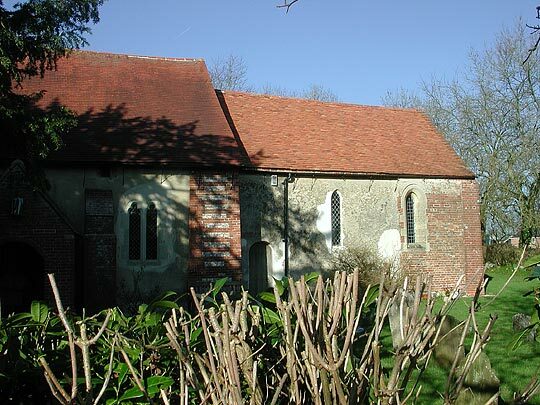 There is also an engraved glass window in the porch by Laurence Whistler dedicated to English music.